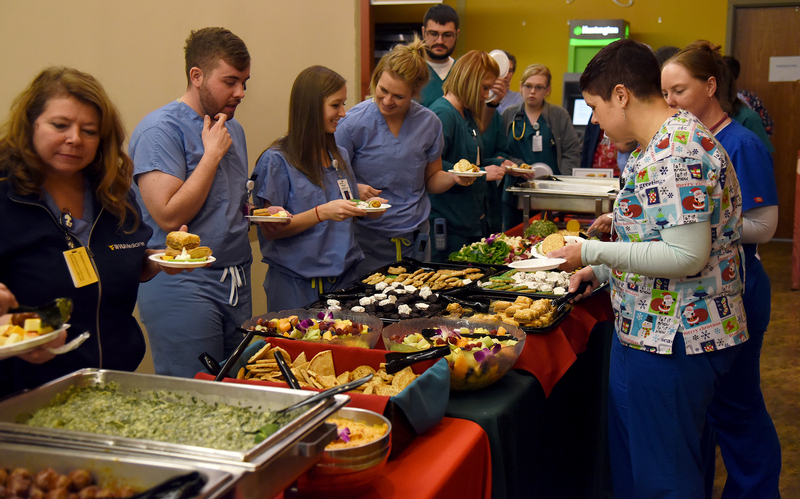 The annual Holiday Celebration for WVU Medicine and Health Sciences employees will kick off on Thurs., Dec. 6, from 2 to 4 p.m. at The Market, located on the ground floor of the Health Sciences Center. The Market will close at 11:30 a.m. for the celebration. A second event for night shift employees is set for Wed., Dec. 12 from 1 to 3 a.m. in the J.W. Ruby Memorial Hospital cafeteria. Both events are free to employees and will feature a variety of appetizers and sweet treats from WVU Medicine Catering and WVU’s Culinary Creations. All faculty and staff are encouraged to attend; no take-out will be available.